The last refuge of too many turkey leftovers. Thank goodness it's delicious. By now many of us are running out of ideas on how to use up that leftover turkey. Don't forget there’s always the old standby: hot turkey sandwiches. They’re actually one of my favourites. 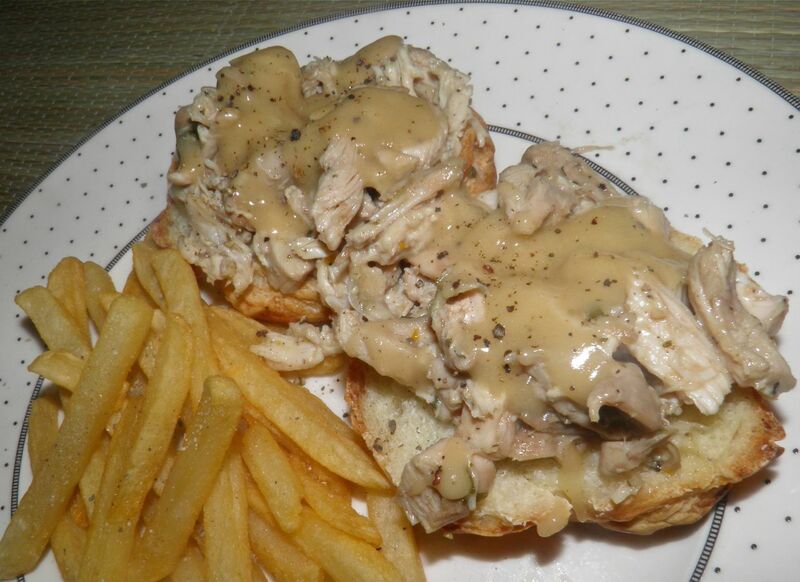 Fresh bread, warm turkey, delicious gravy and fries on the side. If you’re like the rest of us though, you usually don’t keep the gravy that was made with Thanksgiving dinner. So that means you have to go to the store and buy a can of chicken gravy. What if I told you that you can make a perfectly flavourful “gravy” at home in as little as 6 minutes? Well, you can and it's simplicity itself. One of the important things to remember is that most bullion cubes contain a lot of salt. This recipe makes half as much gravy as the cubes would normally make stock. So don’t add any salt until you’re ready to serve it. Taste and adjust then if you need. I have an optional ingredient listed, summer savoury. Summer savoury is usually included in the stuffing we serve with turkey so if you’re feeling like the gravy needs a little boost, add that herb. Melt the butter in a saucepan over medium high heat. Add the flour and whisk in. Continue to whisk as the flour cooks. Cook until it turns a medium tan colour. Then remove the pot from the heat so it doesn’t darken further. 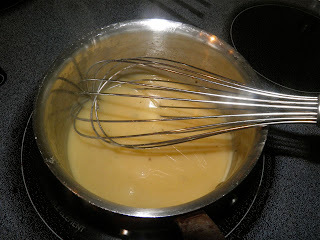 Crush the bullion cubes, add to the roux and whisk together. Return the pot to the heat and slowly whisk in the water. Let the mixture cook and thicken for about 2-3 minutes. Add the pepper, and savoury if using, and remove from the heat. * Each McCormack chicken bullion cube makes 2 cups of stock, so we’re really concentrating the flavour in this gravy. If your chosen cubes don’t make 2 cups per cube, adjust the number of cubes to make 4 cups of chicken stock.